Frostburg State University chemistry professor Fred Senese states that capsaicin fits into a category of chemicals known as vanilloids that contain a hexagonal ring of carbons and produce strong flavors. Capsaicin is distinct from other vanilloids in that it has a long “tail” of hydrocarbons that allow it to bond strongly with lipoprotein receptors. When it bonds, capsaicin produces a sensation of burning, which is commonly found in spicy foods. Though capsaicin is present in miniscule amounts in foods such as oregano, cinnamon and cilantro, it is predominantly found in peppers of the genus Capsicum. Capsaicin is an odorless compound and not volatile, meaning that cooking it will not break it down chemically. The amount in a single pepper can vary from a mild spice to blindly hot. The amount of capsaicin in any food is tested using the Scoville scale that was developed by Wilbur Scoville in 1912 as a way of quantifying the spiciness of food. The original test was simply a taste test to determine how diluted the capsaicin from a pepper needed to be before it was barely detectable. The test measures pure capsaicin as 16,000,000 Scoville heat units, or SHU. More scientific methods of testing capsaicin concentration exist, but the Scoville scale is the most widely recognized method. According to authors Dave DeWitt and Paul W. Bosland in their guide “The Complete Chile Pepper Book,” the "bhut jolokia" chili of northern India is the hottest chili in the world, measuring 1,001,304 SHU. 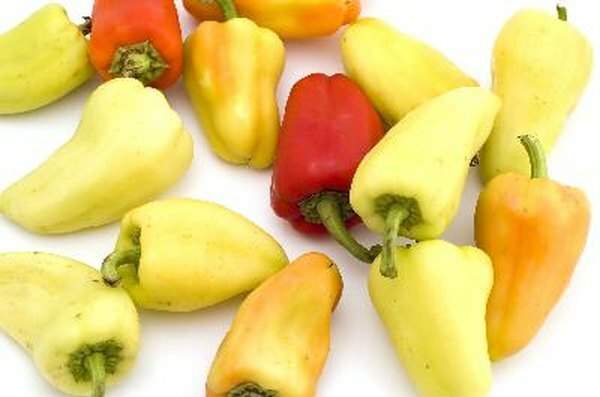 The chili belongs predominantly to the Capsicum chinense species, but also tested with some Capsicum frutescens genes. In 2006, researchers at the University of Kentucky published their findings on the species of peppers that have the greatest concentrations of capsaicin. After making a methanol extraction of the capsaicin in randomly selected plants that were grown in a controlled environment, the research team found that Capsicum chinense are the most potent species for capsaicin. Senese states that the long hydrocarbon tail on capsaicin makes it insoluble in cold water. This is why guzzling water when you eat a spicy pepper does nothing to help the burn. Vegetable oils and alcohol can effectively bond with capsaicin to remove it from your mouth and ease the pain, but few people want to drink vegetable oil and there is not enough alcohol in beer to effectively remove enough capsaicin. Therefore, Senese recommends drinking milk. The casein protein in milk bonds strongly with the capsaicin molecules and washes them away. Frostburg State University; Fire and Spice; Fred Senese, Ph.D.